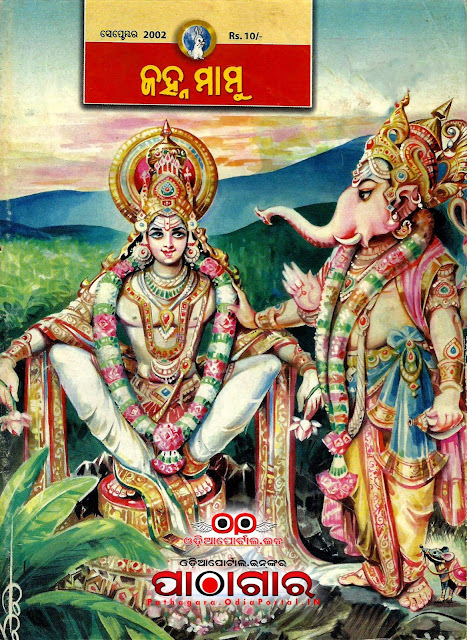 Odia Janhamamu - 2002 (September) Issue Magazine - Download Free e-Book (HQ PDF): Janhamamu (ଜହ୍ନମାମୁଁ), also known as Chandamama was one of famous kids Monthly Magazine published by Chandamama India Limited, Chennai. Publication of new magazines now closed. But old publication were too much good. We have started digitization of Old Janhamamu Books after receiving so many emails and message requests on our WhatsApp group. 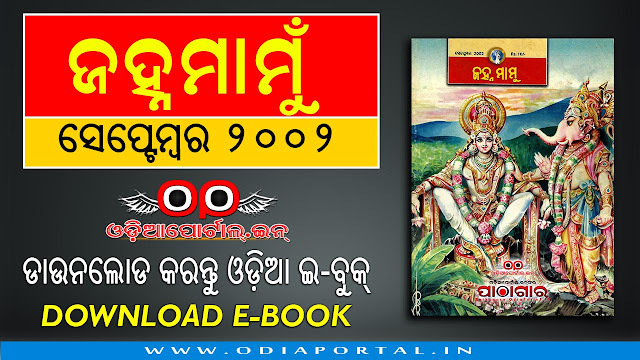 This e-book is uploaded to this website for Information, Research and Educational purpose only as these Janhamamu books now so rare and hard to get a copy. We have placed this book here for public use in "good faith" in the "interest of Education and culture". However, if the publisher (CHANDAMAMA PVT LTD) of "THIS BOOK" feels that we are encroaching upon their rights we will remove this offending material(s) if contacted through below our official email ID. Jay Jagannath, Jay Odisha.